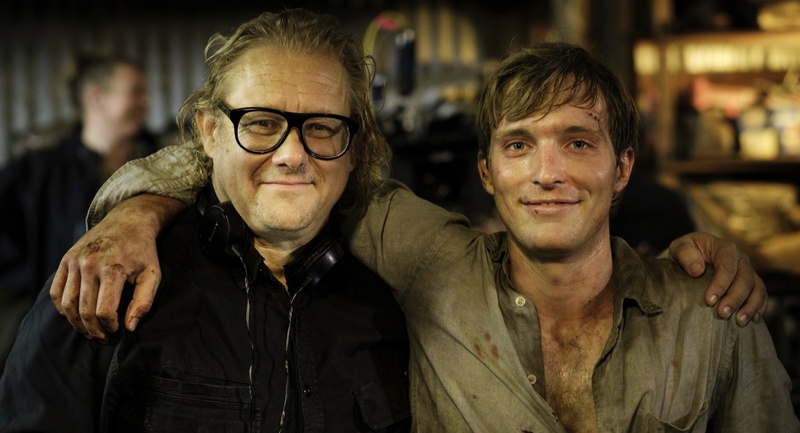 The creative partnership between director Kriv Stenders and producer Kristian Moliere has delivered a number of projects over the past decade, including the Australian movie Boxing Day in 2007. Network Ten deserves to get a good audience for the remake the duo have undertaken of Kenneth Cook’s book “Wake In Fright”. Stenders told Mediaweek that five years ago Moliere pitched him a “mad idea” to retell “Wake In Fright”, first brought to the screen as a movie in 1971. “His idea was to make it for TV and I thought it was a brilliant idea. “The canvas that you have to paint and draw on in television is in a way far more exciting and a much broader one than you have in film. “We then got producer Helen Bowden on board and she was very excited by the idea. Bowden is a principal of the new production company Lingo Pictures (a partnership with Jason Stephens) and they have worked in partnership with Endemol Shine on the project. The miniseries is set in contemporary Australia and is a comment on society, similar to the way the book and movie were. “Binge drinking is still a huge problem,” said Stenders. “Coupled with drugs and mental health it remains a problem in some country towns – particularly some mining towns which can go from boom to bust. “They can be very tragic places and we really wanted to look at the challenges and the conflicts these kinds of places face. Sean Keenan as school teacher John Grant ends up in a pretty scary Australian town soon after the story starts. Stenders has been very busy across the past couple of years, no doubt helped by the success of the movie Red Dog and subsequent interest in him as a director. He told Mediaweek it was a combination of a few projects being released at the same time and a heavy work schedule for him. While directors are lauded as the creative force that guides movies, that accolade is often given to executive producers when it comes to TV. When we asked Stenders if he has a different role when directing for TV, he told Mediaweek: “It is exactly the same, there is no difference at all. What was great about this project was that TEN, Kristian, Helen and the writer all collaborated. My role as a director was no different from what it would be on a feature film. We all wanted to tell the best story in the best way we could. “We deliberately didn’t want to remake the film. The film is a seminal, brilliant film and a vital piece of Australian cinema history. “What we wanted to do was go back to the book and use the original story and create our own narrative out of that. Part of the reason for a contemporary setting was we wanted to see how much or how little things had changed since 1969 when the book was first published.